Back by popular demand! 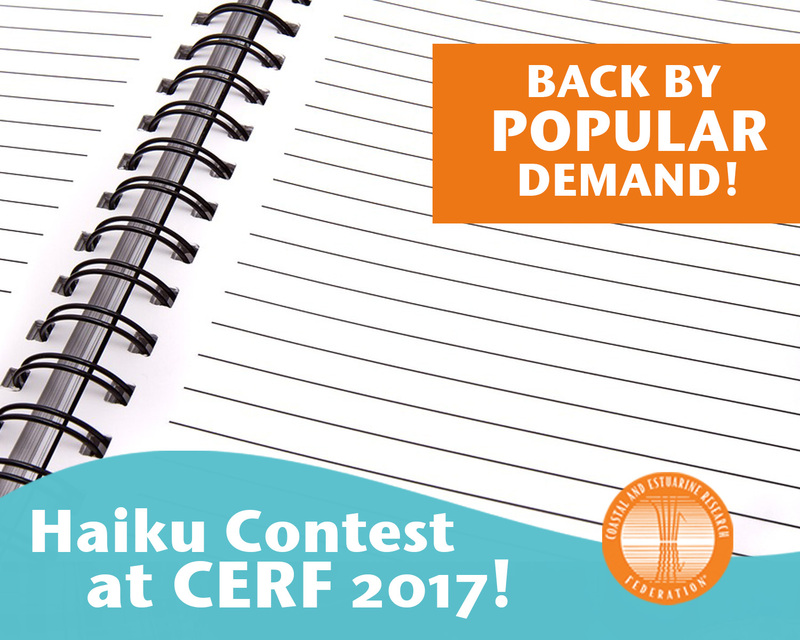 CERF is excited to bring back the Haiku Contest at the CERF 2017 - 24th Biennial Conference! To enter, share your haiku on Facebook or Twitter using the hashtag #CERF2017Haiku. The deadline to be entered to win is midnight, 11:59 PM on Wednesday, 8 November 2017. Prizes will be awarded to the 1st and 2nd place winners. A haiku, for our purposes, is defined as a three-line poem with seventeen syllables, written in a 5-7-5 syllable count. in the form of a haiku. What you love most about CERF.